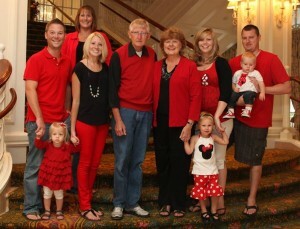 Jerry and Linda Michaels with their family in 2014, including daughter and son-in-law, Kristen and Adam Jagodowski, and son and daughter-in-law, Keith and Jessica Michaels. Kristen Jagodowski, a member of Rosemont Grace Brethren Church, Martinsburg, W.Va. (Carl Baker, pastor), has just undergone a double lung transplant at Johns Hopkins Hospital in Baltimore, Md. Born in 1984, she was diagnosed with cystic fibrosis and has lived a relatively healthy life until recently. Many will know Kristen as the daughter of daughter of Jerry and Linda Michael, also members of the Rosemont GBC who have been actively involved in national ministries of the Fellowship of Grace Brethren Churches. Linda has served on the board of Women of Grace USA. Jerry just stepped down from the board of the Grace Brethren Investment Foundation, including several terms as its chair. Hey everyone, I’m doing remarkably well. I’m tired, very sore and groggy, but had my swallow test and first walk today. It was tough, but I got it done. Continued prayers as pain and soreness will continue and for my donor’s family. I can’t imagine what they’re going through now. I love you all and appreciate your support. Family and friends have planned several fundraisers to help with the cost of this very expensive surgery. Learn more at The Children’s Organ Transplant Association (COTA), a national charity dedicated to organizing and guiding communities in raising funds for transplant-related expenses. The family is also posting updates on the Facebook group page named for Kristen’s campaign, Big Heart Bad Lungs.